Since he began competing in NASCAR’s national series in 2003, Carl Edwards has exceled on concrete racing surfaces. The No. 19 Joe Gibbs Racing driver won the most recent race on concrete at Bristol and will attempt to follow it up with a victory at Dover. 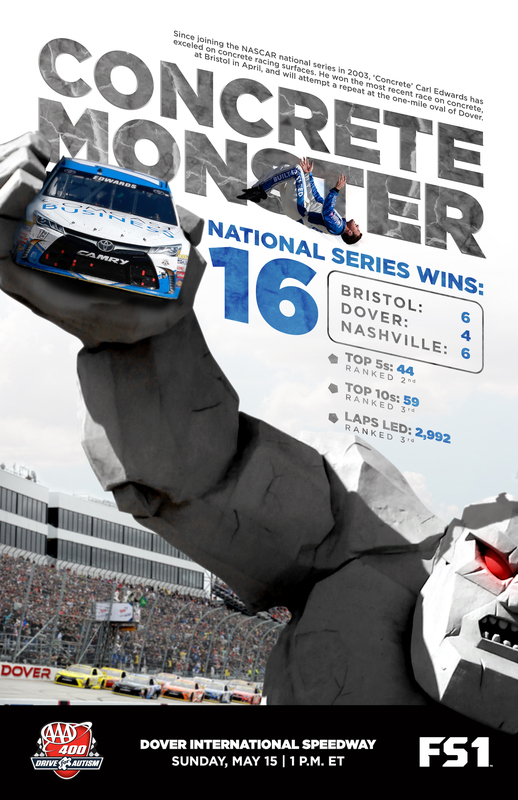 Overall, Edwards boasts 16 national series wins on concrete: six at Bristol, four at Dover and six at Nashville. In all three national series, he ranks second on concrete in top fives (44), and third in top 10s (59) and laps led (2,992). In 23 career NSCS starts at Dover, Edwards owns one win, eight top fives and 12 top 10s. His 10.5 average finish at the Monster Mile ranks third in the NSCS.